Since receiving so many emails from brothers and sisters in Christ who are “churchless” I have been posting “A Sermon for Sunday” at the end of my articles. I really just began doing this, and the preaching I have been sharing is that of Dr. Adrian Rogers. Pastor Adrian went home to be with his beloved Jesus in 2005. There is no other pastor who touches my soul, or stirs me and causes me to feel closer to Jesus than Pastor Adrian. He has been walking with the Lord in heaven for 13 years, yet his sermons continue to nourish and bless the brethren. These sermons are still instrumental in bringing the lost to Christ. This is the last video hours before Pastor Adrian was admitted to the hospital with pneumonia from which he died and came face to face with the One he loved. I believe that Pastor Adrian was the last well known Baptist minister to teach about the Rapture of the church. He preached boldly from the book of Revelation. Oh how we need that today! MEMPHIS, Tenn. (BP)–Even in the face of death, friends say, Adrian Rogers exemplified the Christian faith he spent a lifetime sharing. The longtime pastor at Bellevue Baptist Church in suburban Memphis and the three-time Southern Baptist Convention president died Nov. 15 at the age of 74 following a battle with pneumonia and cancer. But days earlier — before he slipped into unconsciousness — Rogers delivered a message to those gathered in his hospital room that won’t soon be forgotten. At the time, doctors were preparing to place Rogers on a ventilator, which would prevent him from speaking. Steve Gaines, Rogers’ successor at Bellevue, was in the room. “The last thing I heard him say was, ‘I am at perfect peace,'” Gaines, who succeeded Rogers this year, told Baptist Press. Gaines and others then left the room, but Gaines decided to go back in to see Rogers “one more time.” By then, Rogers was on the ventilator, unable to talk, surrounded by doctors and nurses. Rogers died just five weeks after leading a one-day preaching conference in Naples, Fla., as part of his newly founded Pastor Training Institute. It was the first time he had led such a conference. In hindsight, it also was the last. Yet in the few short weeks that Gaines was Rogers’ pastor (Rogers kept his membership at Bellevue), Rogers provided a shining example of both leadership and humility. Immediately before Gaines preached his first sermon as Bellevue pastor Sept. 11, Rogers washed Gaines’ feet on the Bellevue platform, using a basin of water and a towel as Gaines sat in the pastor’s chair. It was all Rogers’ idea. Rogers also placed a cloth mantle on Gaines to symbolize the passing of the torch. “After the foot washing, Dr. Rogers … called my wife up and his wife up, and they laid hands on us and prayed for us,” Gaines said. Foot washing, Gaines said, “symbolizes the heart of a servant” and is modeled after Jesus’ washing of his disciples’ feet. Rogers, Gaines said, epitomized humility. “He was never impressed with himself. He never was one to brag about himself,” Gaines said. “The Bible says, ‘Let another person’s lips praise you and not your own.’ He never, ever brought attention to himself in any way. I believe that one of the reasons that God exalted him is because he humbled himself. That’s just the way he lived. Paul Pressler, the retired judge who was a leader in the Southern Baptist Conservative Resurgence, said Rogers “was always a reluctant candidate” for SBC president. “He loved preaching more than leading the convention, which spoke to his humility,” Pressler said. Amazingly, Rogers’ first great-grandchild was born the day before he died, in a hospital across town. The family, Gaines said, had prayed that the birth would not take place the same day Rogers died. “And the Lord honored that,” he said. In addition to his great-grandchild, Rogers is survived by nine grandchildren, four children, and his wife, Joyce Rogers, whom Rogers often referred to as his “grade school sweetheart.” Bellevue Baptist church members were known to look up to the Rogers as the model Christian couple. Joyce Rogers still has a love note that her then-future husband dropped on her desk in sixth grade. They met in fourth grade and married in college. Gaines’ sermon Nov. 20 will be on heaven, but not because the church’s former pastor died. 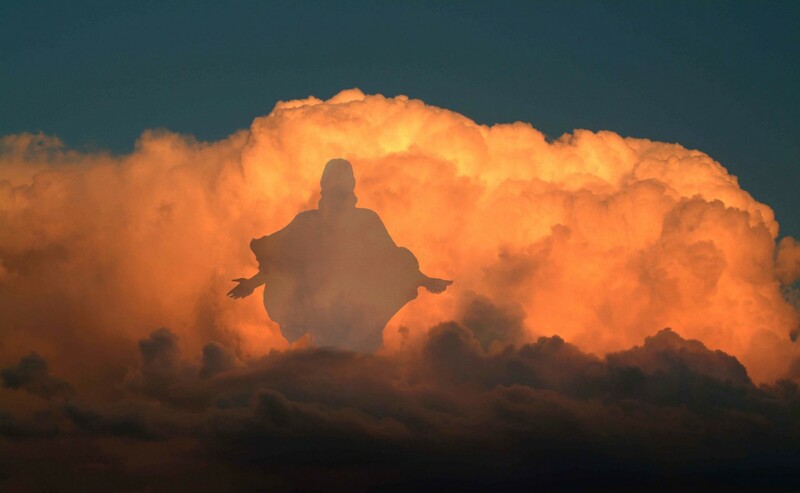 I have often said that when I get to heaven, I know that first I will see Jesus. I don’t know if I will be able to stand. The thought of seeing the One who knows me best, yet loves me most, and gave His life for me – well, it takes my breath away just thinking of it. Secondly, I long to see my father, whom the Lord allowed me the privilege of leading to Him so many years ago. Thirdly, I wish to meet Dr. Adrian Rogers. I just want to hug him and thank him for loving the Lord and His Word, and sharing that love with the world. He ran the race and certainly finished well.